Spring is in the air and I've been craving all things lite and sweet. 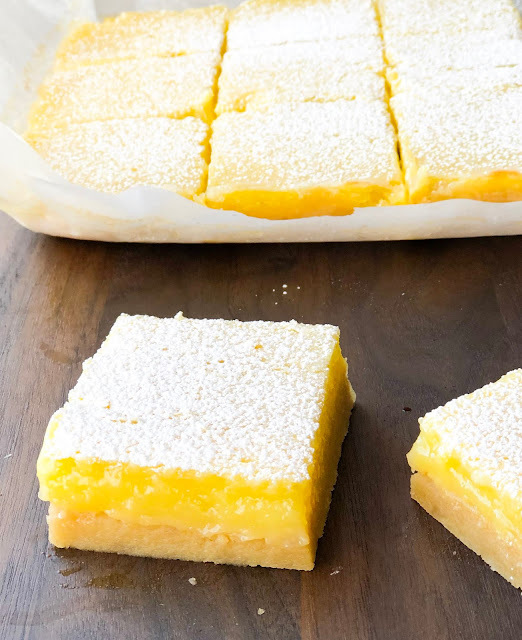 The first thing that comes to mind is delicious, chilled Lemon Bars. 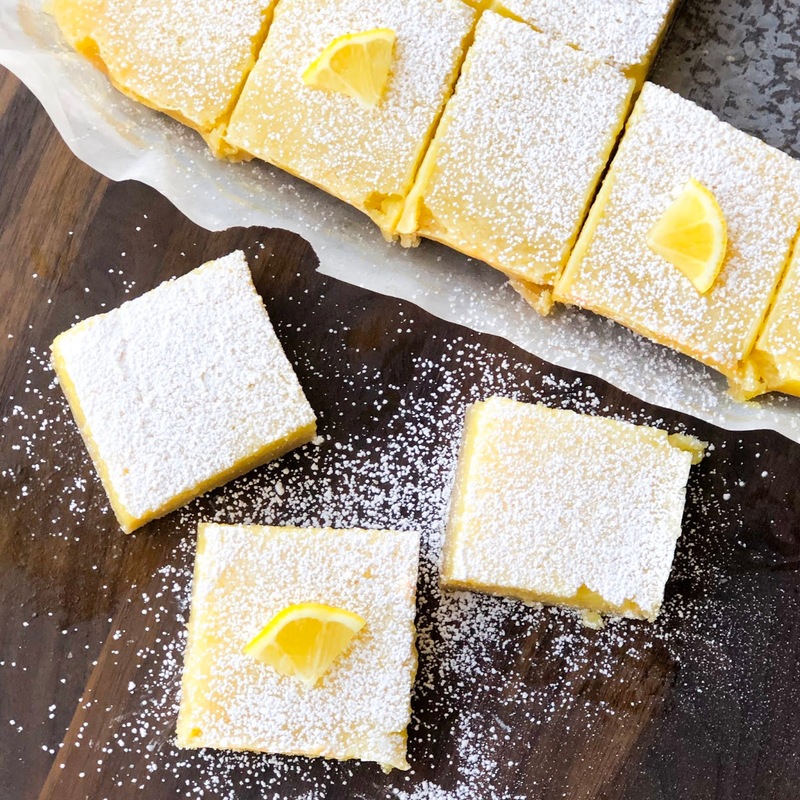 With the flavorful lemon filling over a chewy shortbread crust, you can't go wrong! These Lemon Bars are surprisingly easy to make, and they taste amazing! The bars are super refreshing and are perfect for this time of year! Less than 8 ingredients are required for this recipe, making it simple to bake! Make it with me! 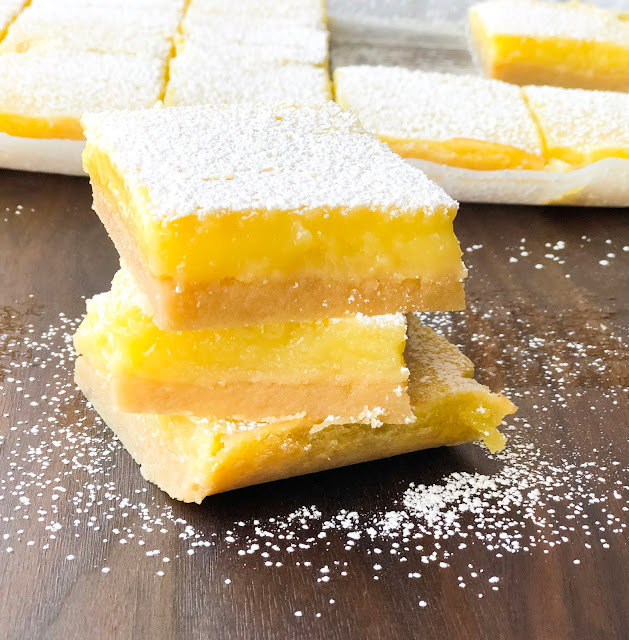 Lemon Bars are one of my favorite treats. 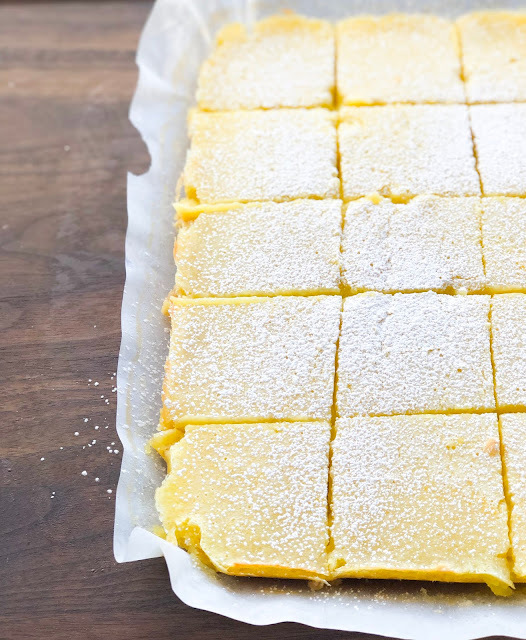 I love the shortbread crust in this recipe! I like to keep it nice and thick, for a good chunk in every bite! 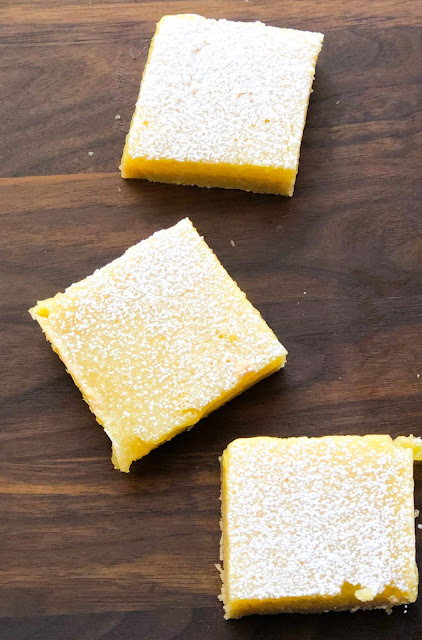 The lemon filling is also delicious and layered thick over top of the crust. The flavors compliment each other so well! 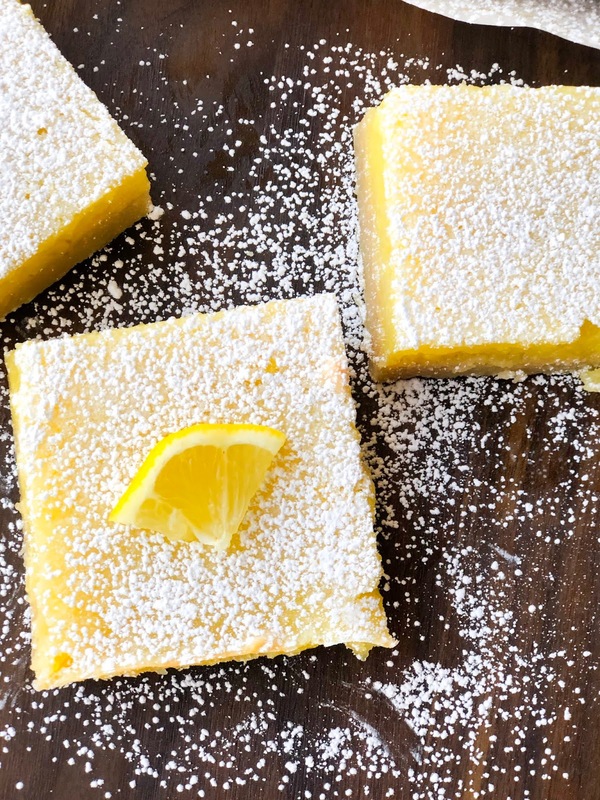 One tip for making lemon bars extra yummy is to use fresh lemon juice! I always say fresh is best! 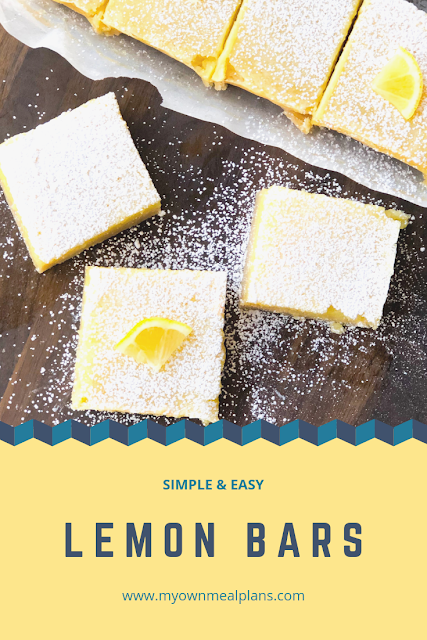 Store bought lemon juice can sometimes be sour, making your bars have a sour flavor. Take the time to juice some lemons yourself and you will be much happier with the taste results! You can half this recipe and bake it in a 8x8 pan if you want to make a smaller batch! I recommend baking these bars in a glass pan! Always use parchment paper for easy cutting and to make sure that the bars don't stick. Preheat the oven to 325°F. 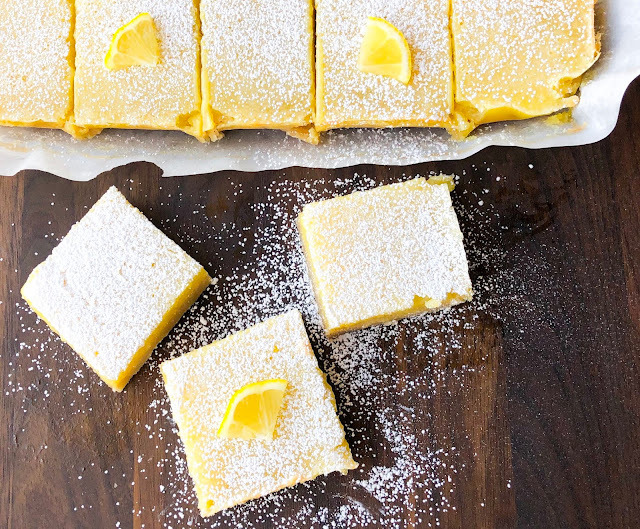 Line the bottom and sides of a 9×13 baking pan with parchment paper, leaving an overhang on the sides to lift the finished bars out. Set aside. Make the crust: Mix the melted butter, sugar, vanilla extract, and salt together in a medium bowl. Add the flour and stir to completely combine. The dough will be thick. Press firmly into prepared pan, making sure the layer of crust is nice and even. Bake for 18-20 minutes or until the edges are very lightly browned. Make the filling: Sift the sugar and flour together in a large bowl. Add the eggs and lemon juice and whisk until completely combined. Pour filling over warm crust. Bake the bars for 20-21 minutes or until the center is relatively set and no longer jiggles. Remove bars from the oven and cool completely at room temperature, about an hour. Then, move the bars to the fridge for an additional 2 hours. Once cool, lift the parchment paper out of the pan using the overhang on the sides. 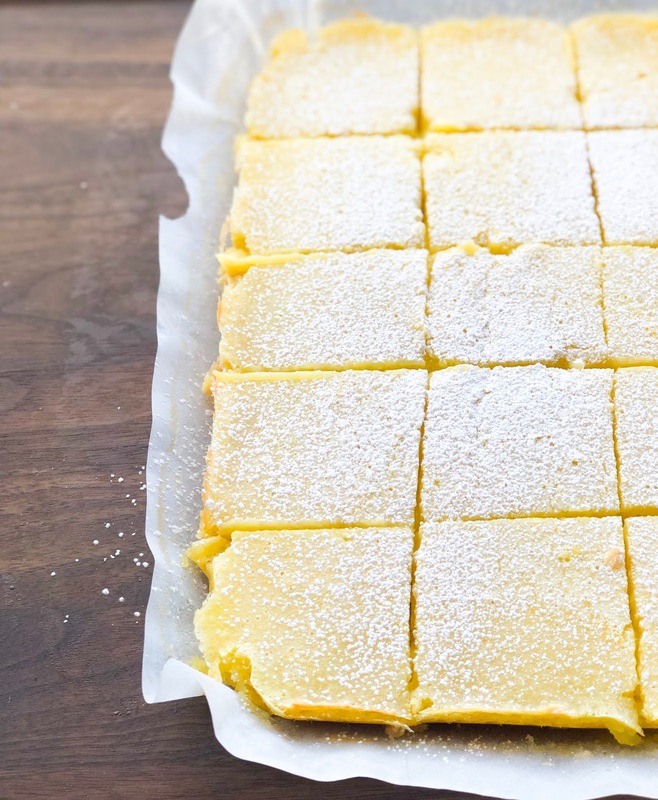 Dust with powdered sugar and cut into squares before serving. Best served chilled. 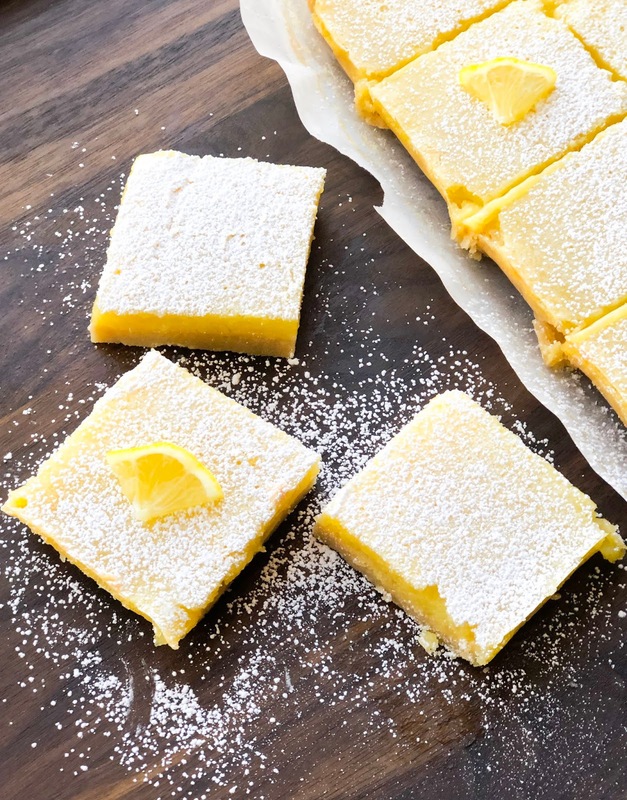 Cover and store leftover lemon bars in the refrigerator for up to 1 week.